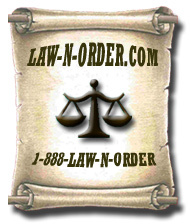 The Law-N-Order.com marketing package is industry specific. If your intent is to acquire market share of the Legal Services Profession, this is the package for you. The familiarity of this name alone will set you apart. This marketing package is available for sale or lease. If you are interested in using this package nationwide, please contact us asap.